Design solutions, created by PearsonLloyd, deliver a better A&E to staff and patients. These are proven to be both cost effective and impactful. Emergency departments are high pressure environments, focused on delivering care in the most efficient manner. As a consequence, the human and emotional aspects of care are often neglected. We offer a programme of design solutions that inform and guide patients through their time in the department, as well as working staff to support their interactions with frustrated and aggressive patients. According to the National Audit Office, violence and aggression towards hospital staff costs the NHS at least £69 million a year in staff absence, loss of productivity and additional security. All NHS staff should expect healthy and safe working conditions and an environment free from harassment, bullying or violence. 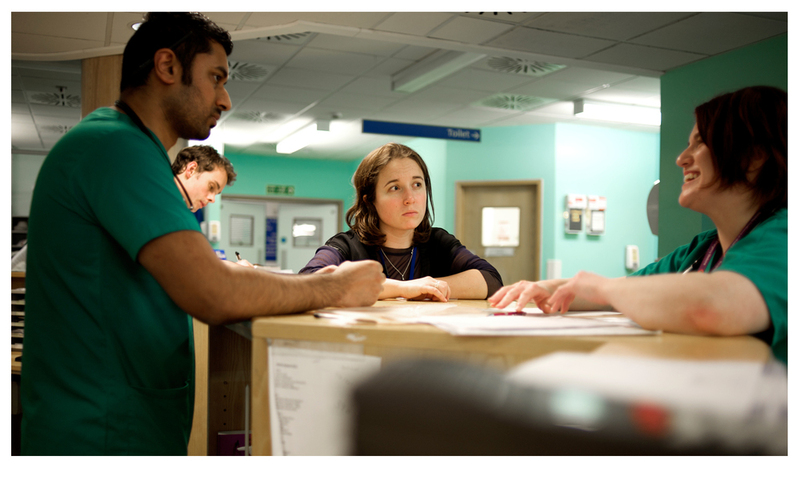 The reality for most NHS staff, however, is that violence and aggression are still commonplace. NHS annual staff surveys consistently show that more than one in ten staff experience physical violence from patients or their families every year. The problem is particularly difficult to manage in the complex, high pressure environment of A&E. Patients in A&E are often in pain, with accompanying visitors worried about their condition. The pain and worry can alter the behaviour of patients and visitors, perhaps reducing their tolerance levels and making them more likely to behave aggressively. Improvements in patient experience will not only reduce tensions and non-physical hostility, but prevent their potential escalation into more serious incidents, as aggression is often the consequence of accumulated frustrations. Our solutions focused on how the patient experience could be improved, to create a calmer and more relaxing care environment for everyone. A three-pronged set of cost effective design solutions tailored to the different needs of patients and staff. This is targeted at patients to help ensure they have all the basic information about the department and how it works. Provides a forum for staff working in the department, supporting their interactions with frustrated or aggressive patients. Free high-level design recommendations available online for NHS Trusts to make improvements to their departments. 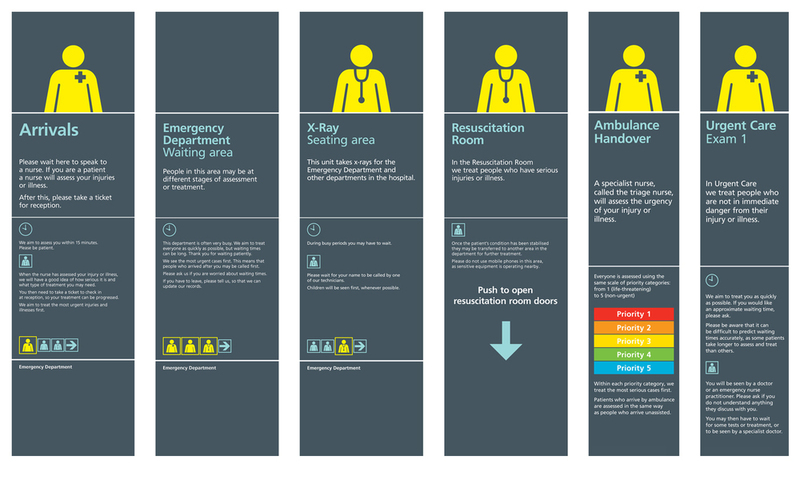 An information package that greets patients on arrival to inform, guide and answer questions creating a positive A&E experience. Designed to be implemented in any A&E department, this solution provides a platform to communicate basic information to patients; such as, where they are, what happens next, and why they’re waiting. Information panels are implemented throughout the department so patients always know where they are within A&E and at what stage of care. These work as standalone items, as well as a series, and are customised to each Trust. A process map forms the core of the communication, and illustrates the patient journey as a series of stages, with a pause (or wait) between each stage. Displayed at full wall height in the waiting room, patients and visitors can very quickly learn the process for receiving treatment. A patient leaflet supplements the signage with further information about the department and contact details for other urgent care centres in the local vicinity. An incorporated tear off questionnaire provides patients and visitors with an opportunity to give feedback. The print material is complemented by a digital stream that communicates live, up-to-date information about the department. Existing data stored in the computer systems automatically updates the electronic displays, providing accurate and relevant information at regular intervals. The original programme also included web and app based information delivery, to help manage pre-arrival choices and inappropriate attendance, as well as the potential for personal information delivery at a later date. We are currently in talks with a number of Trusts about developing this element of the solutions. 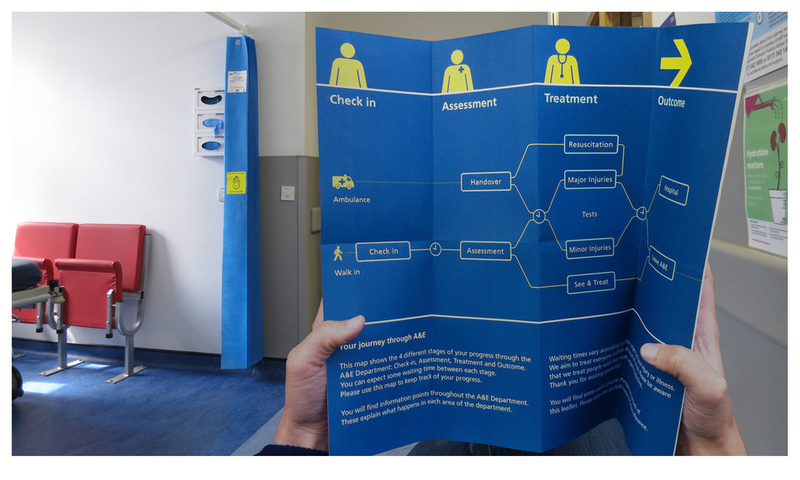 A process map illustrates the patient journey and is displayed in the waiting room. Panels installed throughout the department guide patients through each stage of their care. Live information screens display current waiting times for departments. A smartphone app allows users to access information remotely to make informed decisions about which A&E department to visit. Working with frontline staff through reflective practices to support their interactions with frustrated, aggressive and sometimes violent patients. The second design output works with staff, recognising the key role they play in delivering a better healthcare service. We offer a two-pronged solution. For current staff, a reflective programme provides a space for staff to consider - without blame - those factors that undermine their capacity to care for patients. The goal is to identify factors that impact the collective mood and to work to remove the root causes and to prevent them from occurring in the future. 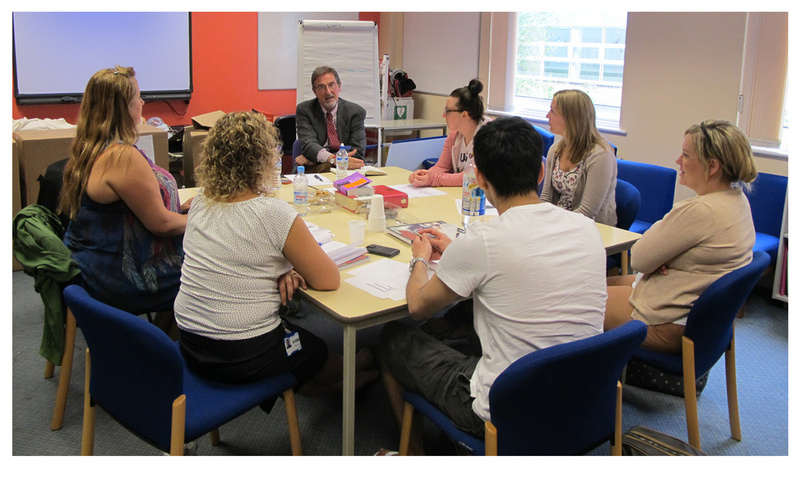 An 8-week programme is conducted by an external facilitator with 8-10 members of staff across the department. We have developed a new tool, called the Incident Tally Chart, which is used during the programme to help focus on different variables within the system that might hinder the ability of staff to deliver high quality care. The programme findings are reported back to management, helping the department as a whole to understand, learn and improve ways of delivering care. This is supplemented by an induction pack for staff new to A&E, to inform them of issues they may encounter whilst working in the department. This ensures that staff, such as trainee nurses and junior medics, have the required knowledge to work in this highly pressured environment. Stages of the reflective programme for staff. Guidelines to help ensure the built environment is optimised for patient comfort. This is an online guidance document that offers free high-level design recommendations, which are focused more on the built environment or service changes. It is aimed at NHS managers, clinicians and healthcare planners, who want to develop and deliver a better service in effective and inspiring environments. The toolkit breaks the patient journey down into its different stages of the A&E process and presents case studies of best practice that are in place at other NHS Trusts. It is intended to be used by all NHS staff, while also providing a reference source for architects or interior designers working on new-build projects. A number of documents are available to download. For information about the project, design solutions and implementation packages, please click on the links below. If you're interested in information about the evaluation study of the pilot trusts as conducted by Frontier Economics and ESRO, please click on the links below. The video below explains the problem, the design solutions and the results from the recent evaluation. Animation produced by Matt Wilson Designs for the Design Council. PearsonLloyd customise the solutions to the unique way in which each Trust operates. Since 2012, the Guidance and People Solutions have been implemented in a number of hospitals across the country. The full set of solutions were piloted at Southampton General Hospital and St George's Hospital, London, where their impact was fully evaluated and quantified. Further installations have taken place at Newham Hospital, London and Addenbrooke's Hospital, Cambridge, with work currently ongoing at Norfolk and Norwich University Hospital. We strongly believe that the solutions have greater application beyond A&E and are already working to extend them in Acute Medical Units. Our aim is to get our solutions into departments of every hospital in the country. We recognise that all Trusts operate in a unique way, and consequently work closely with each department throughout the implementation process to ensure the solutions meet the needs of the Trust. Contact us if you're interested in implementing the solutions. PearsonLloyd offers two implementation options, depending on the needs of the department. Departments purchase the Guidance Solution templates and license fee for the signage from us. This option enables the department to manage the implementation process and find a local printer to undertake the production and installation. We offer a nine-step programme where PearsonLloyd manages the entire process, from project introduction through installation. The process takes around four months, and we would recommend starting in spring, in order to have the panels installed before the winter congestion. Project team presents to the department explaining the concept and background. A departmental review to determine panel locations. Audit existing signage to establish what can be removed or incorporated into the panels. A workbook will be created documenting the proposed panels, locations and initial content. This is circulated for review. Review of workbook content and proposed changes. Updated workbook issued each time. A two-day review of the department, measuring each space for a panel. Two-day installation of the panels (numbers and access permitting). Assessment and quality check of panels post-implementation. Ceiling and wall panels installed in a majors area of A&E. A locator map shows patients where key areas of the A&E department are located. Printed leaflets ensure patients have key information about the department at all times. A team member installs a ceiling panel. The effective programme is tailored to the unique needs and culture of each department. Each programme will feature, at its core, training and support for trust staff to run and manage workplace learning groups. This might also be complemented by one-to-one or group coaching sessions, as well as mentoring of Trust staff or other key stakeholders. Workshop with management and/or key stakeholders to understand the needs and goals of the Trust. Coaching and support for the group facilitators looking at the causes of aggression, proactive prevention, facilitation methods and direction on session delivery. Through conversation, observation, team/individual coaching, and demonstration from the project leaders, as well as network support from facilitators at other Trusts. Support session held with a small group of A&E staff. 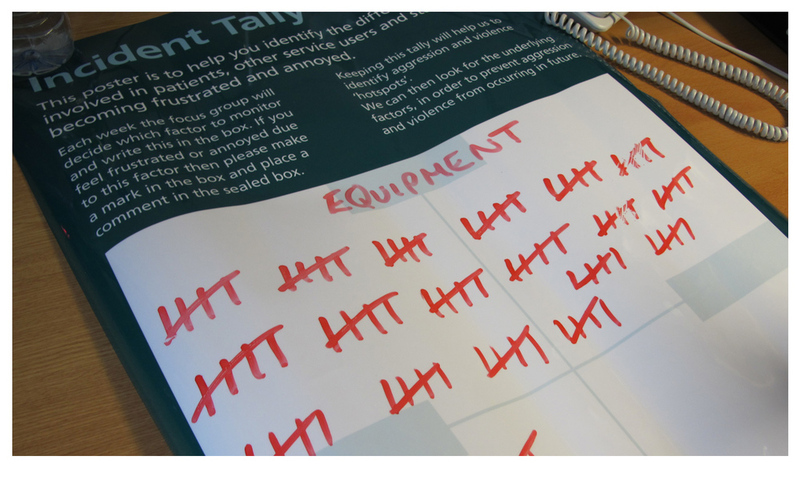 Incident Tally panel installed in a staff room. Incident tally report done by hospital staff. An 'Employee of the Month' scheme began as part of the People Solution. If you’re interested in bettering your Emergency Department or you’d like more information please contact us. Implemented solutions proved to have a positive impact on patient and staff experience at pilot sites. 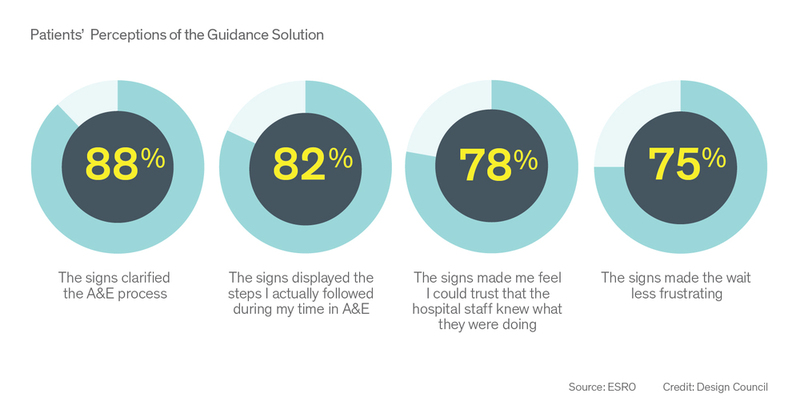 To understand whether the Guidance and People Solutions would successfully improve the patient experience and reduce tensions, they were installed and piloted at two A&E departments: Southampton General Hospital and at St George’s Hospital, London. Comparative control sites, with similar characteristics to the two pilot sites, were also selected for the respective pilot hospitals. A comprehensive evaluation was carried out by Frontier Economics and ESRO to test the impact of the design solutions at the two pilot Trusts. Surveys and data were collected prior to implementation, and again a year later. 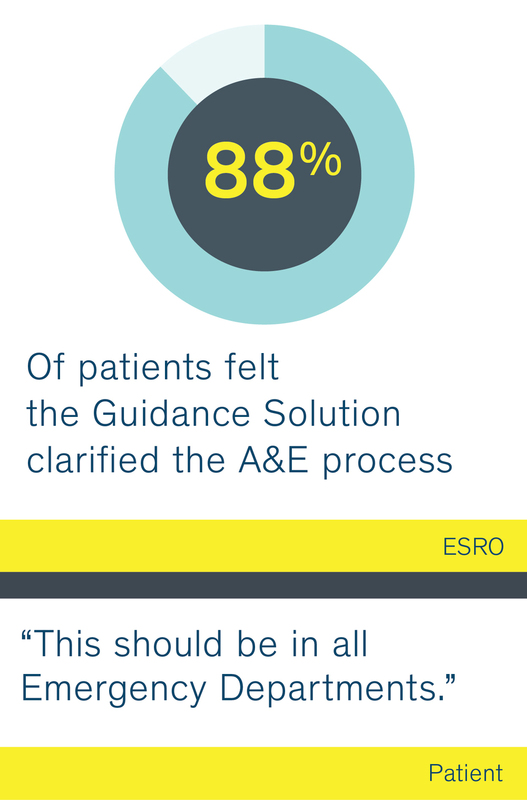 The pre- and post-implementation data were contrasted to each other, as well as to comparable A&E departments where the design solutions were not implemented. The design solutions have improved patients' experiences of A&E through clarification of the A&E process and improvement of the physical environment. These improvements have led to reductions in frustration and therefore a reduction in potential escalation into hostility. The design solutions have reduced the amount of non-physical aggression and hostility experienced by both staff and patients, particularly relating to threatening body language. Since the design solutions were introduced, both patients and staff have observed significant reductions in acts of non-physical aggressive behaviour. Associated improvements in staff morale, retention and wellbeing have also been reported. The benefits of the solutions outweighed the costs of implementation by a ratio of 3:1, meaning that for every £1 spent on the design solutions, £3 was generated in benefits. This is a conservative estimate of the potential benefits and as the solutions continue to be implemented, a more extensive study could capture wider benefits. If you're interested in more information about the evaluation study of the pilot trusts as conducted by Frontier Economics and ESRO, please click on the links below. Hear the team talk about the solutions and evaluation results in this video. The project is implemented by the studio PearsonLloyd in conjunction with Dr Julian Lousada and Vyla Rollins. PearsonLloyd is an award winning London-based design studio. Its expertise lies in offering design knowledge and strategic thinking to industries that have demanding spatial, ergonomic and social needs, such as healthcare, aviation, the workplace and the public realm. The studio led the creative work in generating the solutions for A Better A&E, and now leads the implementation process, in conjunction with Julian Lousada and Vyla Rollins. Together they tailor the design solutions to the unique way in which each trust operates, to ensure the implementation can achieve the maximum possible impact. The solutions for A Better A&E have been implemented at a number of trusts across the country, with interest continuing to grow. Julian Lousada is an Organisational Consultant and Partner in PEOPLEINSYSTEMS, with extensive experience in the Corporate, Health, Social Care and Educational sectors. Formerly a Clinical Director at the Tavistock and Portman NHS FoundationTrust, he has a special interest in the behaviour and productivity of work based groups/teams in the context of change. Vyla Rollins is an Organisational Psychologist who has worked as a global strategic Organisational Effectiveness consultant for over 25 years. She has in-depth experience in executive coaching, team effectiveness initiatives, applied leadership development, strategy facilitation, and designing/delivering business school-based Executive Education programmes. PearsonLloyd’s work to reduce violence and aggression in A&E was led by design director Tom Lloyd. To deliver the project successfully, the studio used evidence-based knowledge to develop strategic concepts, which were delivered through specialist knowledge of human factors, environments, violence and aggression, and the healthcare industry. With this in mind, PearsonLloyd formed a consortium for their design team with individuals from the institutions shown below. The team also worked closely with three NHS Trusts across the country, who helped ensure the design solutions were relevant, easily implementable, retrofittable, effective, affordable and non-Trust specific. We'd love to hear from you – whether to express interest in implementation, or just to give us some feedback! Please contact us at the details below, or alternatively fill in the form and we'll get in touch.